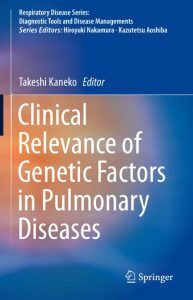 This book describes the underlying genetic basis of common pulmonary diseases and discusses their pathogenesis and pathophysiology. These insights provide the basis for understanding different subtypes and phonotypes, and will promote better treatment strategies and individualized medicine. 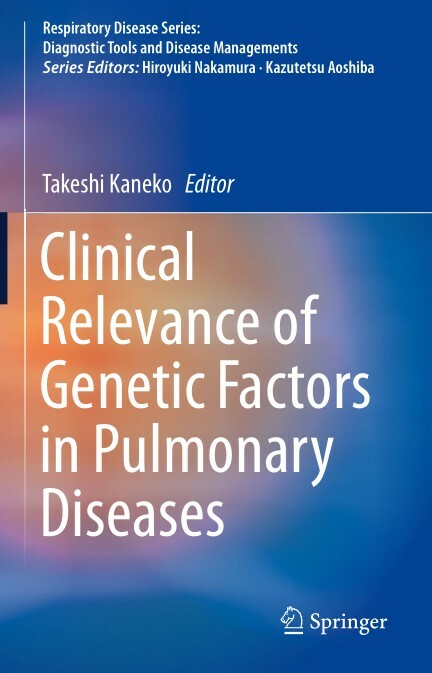 The book provides new and valuable information for the development of the areas of study, as well as practical guidelines for clinicians engaged in treating pulmonary diseases. This volume of the Respiratory Disease Series – Diagnostic Tools and Disease Managements will broaden the understanding of beginning and experienced researchers and clinicians who treat pulmonary diseases. Moreover, residents and clinicians engaged in medical oncology will find it a valuable guide to support them in their day-to-day work.